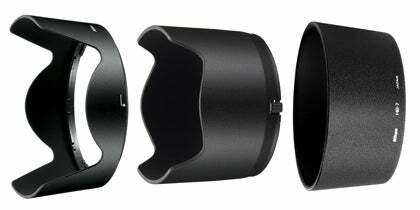 Why you should use lens hoods? As is the case with filters, the humble lens hood is something some photographers swear by and some don’t want anything to do with. Hoods usually come with certain lenses, or can be bought separately, and can be standard circular types or petal-shaped – that latter being arguably more effective as they’re shaped to match both the aspect ratio of a sensor and the field of view of a lens – though rectangular types also exist. So what exactly is their role? Essentially, a lens hood acts to block out light that the lens shouldn’t be receiving, which can contribute to aberrations such as flare, particularly when shooting towards the light. Wideangle lenses, due to their expanded field of view, are naturally prone to gathering stray light, though the reduced field of view on standard and telephoto lenses means that for accuracy, the use of lens hoods is just as important. Most hoods are made from plastic although metal types, despite being more expensive, do offer greater robustness. Rubber hoods are also available and have found themselves into many a kit bag, due (literally) to their greater flexibility – and being collapsible they are less of a burden, too. You can even find some which extend and contract to fit a certain focal length. In any case, the inside must help to absorb light, which is why many are lined with a black flocking. The main reason why people choose not to use lens hoods is their cumbersomeness, which explains why rubber hoods are so popular. Another is that as modern lenses are coated to prevent reflections and glare, lens hoods are now often seen as just a redundant accessory. Some lens hoods can also be hideously expensive, too. As with most things, it’s simply a personal choice; I use mine for both controlling flare and protecting my lens, but if you find your images are fine and flare-free without a lens hood, then why bother? Though the lens hood world can’t quite boast the developments that cameras and lenses have enjoyed, one website did recently catch the eye of WDC which gets round the problem of expensive lens hoods – www.lenshoods.co.uk allows you to download and print out a paper lens hood specifically for whatever lens you are using – absolutely free.